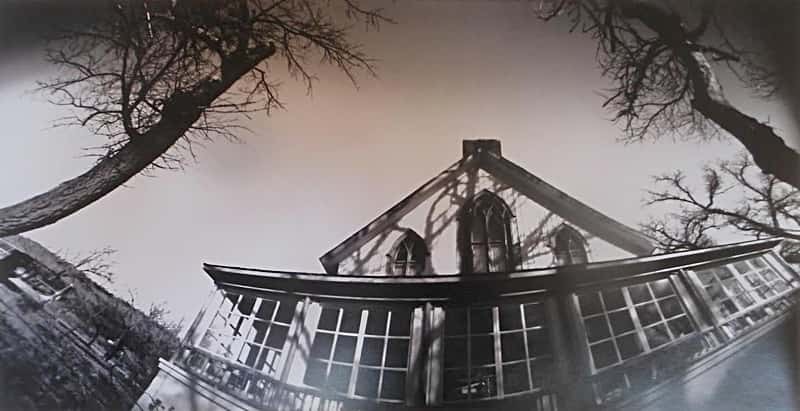 Artist and Minden resident Nancy Raven will participate in a Capital City Arts Initiative exhibition, “Pinhole Properties,” at the city’s Community Development Building, 108 E Proctor St., Carson City. The building is open to the public daily, 8 a.m.–noon, 1-4 p.m. The free exhibition will remain in the building’s lobby through July 6. Artist and musician Nancy Raven has long been passionate about both music and photography. 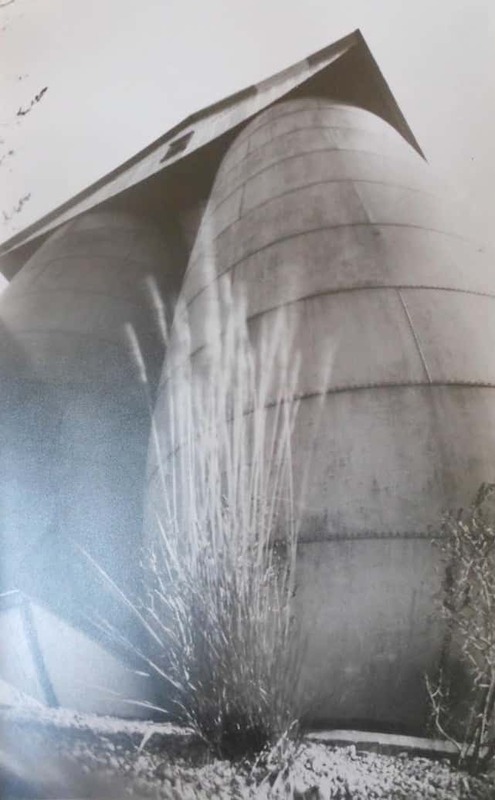 Her “Pinhole Properties” exhibition presents a series of photographs that she took around Minden and Gardnerville’s historic buildings and sites. She made the exhibition photographs using a large tin can with a small hole drilled in the side, revealing a pinprick hole inside. She then loads the tin can camera with photographic paper, which becomes paper negative when it’s exposed. After it is developed, she places the paper negative face-down on another piece of photographic paper and prints. The curve of the tin can creates the curvature in the final image. Raven showed her “Lost Soles” found object/photography installation piece in 2011. Raven earned a masters degree in alternative education from San Diego State College and a bachelor’s and teaching credential from Long Beach State College. She directed a family co-op nursery school, using children’s folk music as a primary part of the curriculum. In 1963, she began recording children’s folk music and performing in school libraries and giving workshops. Over the course of many years, she made 10 CDs of this music and taught music through the California Arts Council. 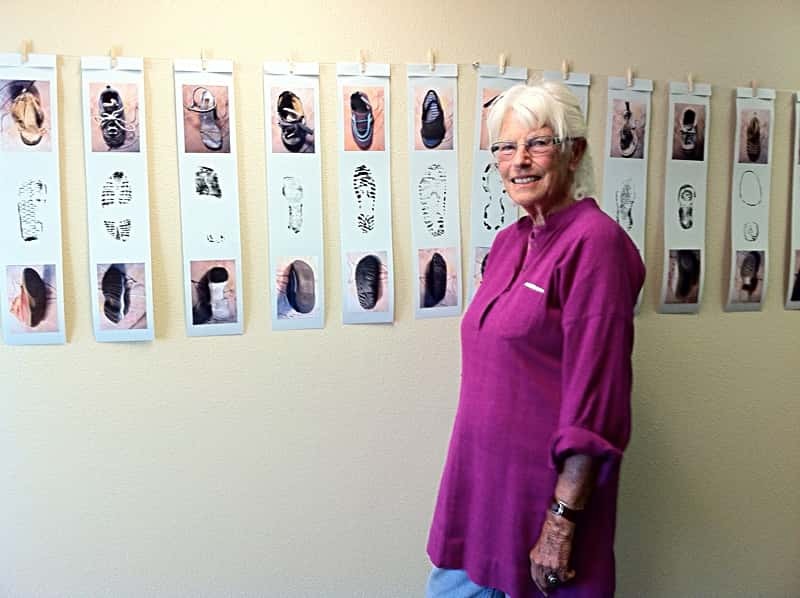 Raven is a member of the Carson Valley Art Association and paricipates in various shows thorughout the year, displaying her work in various mediums. She has also spent time sharing music at various events at gadZooks! The initiative is committed to community building for the area’s diverse adult and youth populations through art projects and exhibitions, live events, arts education programs, artist residencies, and its online projects. The initiative is funded in part by The Andy Warhol Foundation for the Visual Arts, National Endowment for the Arts, Nevada Arts Council, Nevada Humanities and the National Endowment for the Humanities, City of Carson City, U.S. Bank Foundation, and the John and Grace Nauman Foundation. For additional information, visit arts-initiative.org.